Today, more than ever, you need products that are reliable and simple to use. 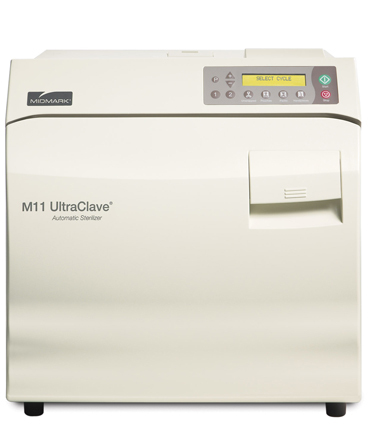 The M11 and M9 autoclaves couldn’t be easier and are time tested for reliability. You load them...set them...and forget them. Select your cycle and the time is set for you. Press "Start" and the autoclave fills with the correct amount of water. 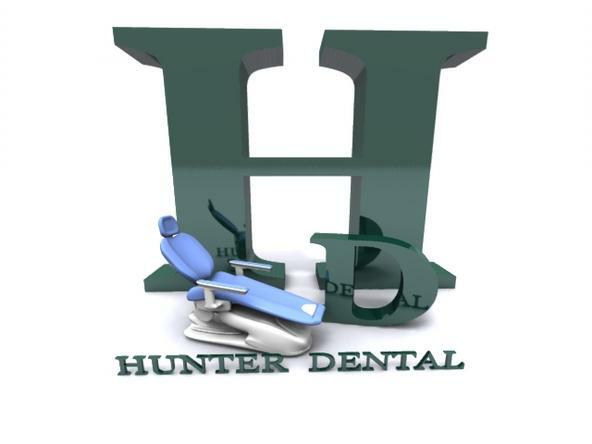 Once the sterilization process is complete, the door opens automatically and quietly to dissipate the steam, giving you a fast drying time for your instruments. The market-leading tabletop sterilizers today, the M11 and M9, give your practice unsurpassed reliability and convenience! 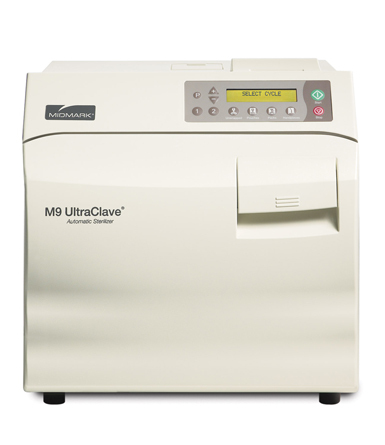 The Midmark M9 UltraClave® is specifically designed to meet your needs. The intuitive display and simple prompts help you to easily select the cycle you need...whether it is for unwrapped items, pouches, packs or handpieces. Once the sterilization process is complete, the patented automatic-opening door quietly opens to dissipate steam, providing fast and efficient instrument drying. Simply load it, set it and forget it! 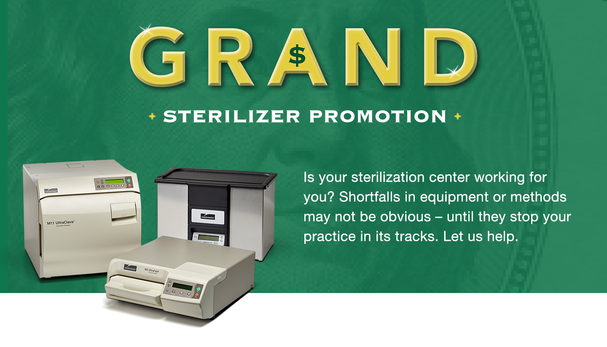 • Midmark sterilizers are the market-leaders, providing unsurpassed reliability, effectiveness and convenience. • Front fill and drain tube provide easy access for maintenance and water level monitodd text. 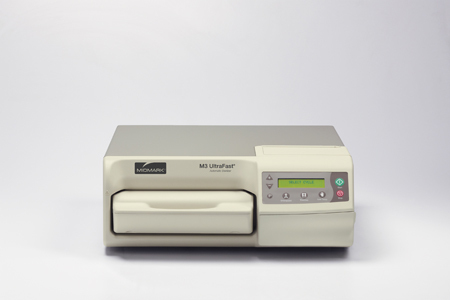 The Midmark M11 UltraClave® Automatic Sterilizer provides an intuitive display and simple prompts that help you easily select the cycle you need...whether it is for unwrapped items, pouches, packs or handpieces. Once the sterilization process is complete, the door conveniently opens automatically and quietly to dissipate the steam and provide fast and efficient drying of your instruments.